The purpose is to create awareness of the value of this specialty and the vital contribution of the radiologist to health care. This year the theme is 'Thoracic images'. After the success experienced in the four previous editions of our virtual conferences, in 2005, 2007, 2009 and 2011, respectively, we announced the development of the fifth Virtual Congress of Radiology, to be held in November 2013. 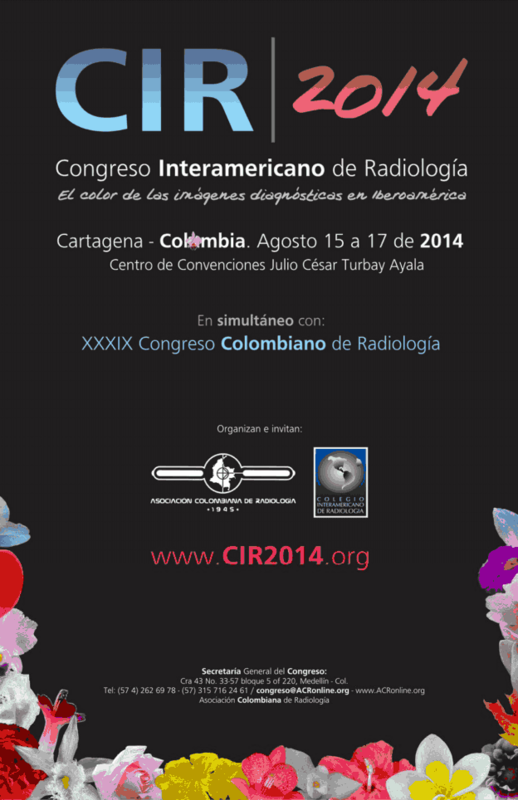 The radiological community is invited to participate actively, registration is free. 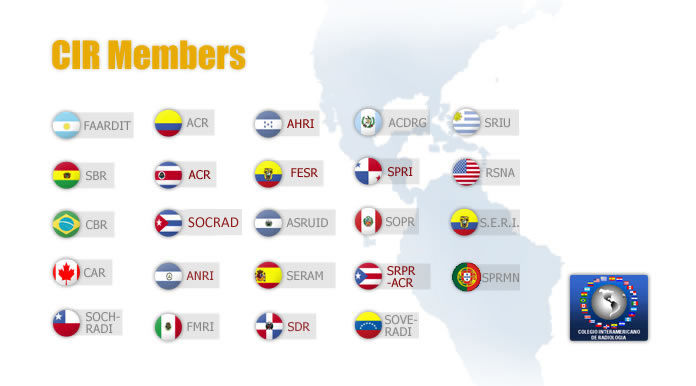 All delegates from member countries of the Inter-American College of Radiology, CIR, are summoned to attend the Annual General Meeting 2013, on Monday, 2 December, from 10:00 a.m. to 12:00 p.m., in room E270, McCormick Place, Chicago, Illinois. On Saturday, November 30 in McCormick Place the CIR session at RSNA will be held - CIR@RSNA 2013. The topic to be discussed will be Infection-Inflammation, and 8 well known professors of CIR will participate as speakers, covering different organs an systems. The session is in Spanish and will be transmitted via webcast. We invite you to see the program and schedule this event so you can attend this interesting meeting of the CIR in the context of the Congress of the RSNA 2013. 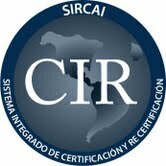 Pursuant to the regulations, all radiologists re certified by an organism duly validated by the Sircai can choose of this diploma. 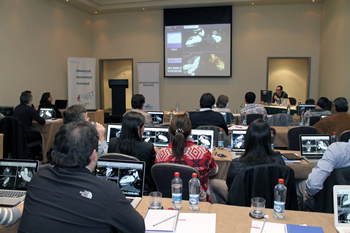 The CIR and its Sircai program will carry out the First Official Ceremony FOR THE Recertification of Iberian-American radiologists during the Annual General Meeting of CIR on December 2, 2013 in the framework of the RSNA Congress in Chicago. All societies member of the CIR are invited to apply before 20 November 2013. All applications for the CIR’s Visiting Professor 2014 program are open. The purpose of this initiative is to facilitate the participation of well-known professors of the CIR in courses and regional congresses, where, besides excellent conferences, they should carry out direct teaching activities, such as workshops and assessment exercises with local radiologists and residents. The work team of this area is integrated by doctors Sebastián Constantino, Carlos F. Muñoz and José Carlos Rayón. Currently, the area of Virtual Radiology has a large database of trainings which includes 587 virtual conferences, 582 clinical cases and 129 radiologic protocols. In order to facilitate the access to this material and to provide strategies for the appropriate promotion, a new section was created called "Development of Educational Content". The report by the Peruvian Society of Radiology, states that the survey carried out to participants at the end of the activity, rendered highly satisfactory results. 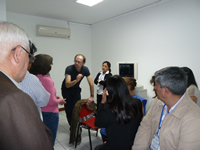 Peru was the venue of the 1st.Workshop on Musculoskeletal Ultrasonography carried out on 20 and 21 September this year, within the curricula of CIR’s Latin American School of Radiology (ELAR) Workshop on Musculoskeletal ultrasonography, which took place on 20 and 21 September of this year, within the curricula of the CIR’s Latin American School of Radiology (ELAR). 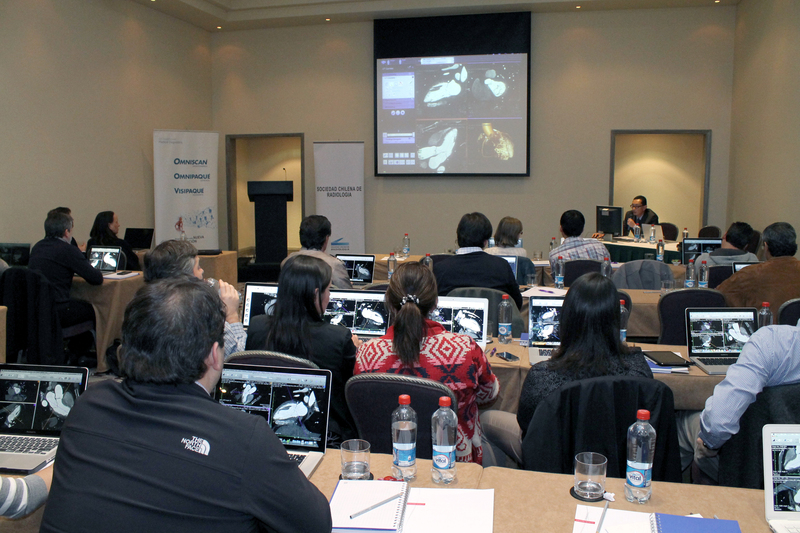 The meeting, attended by 26 radiologists, was held in Santiago, Chile. On 27 and 28 September, we held the course on Cardio CT organized by the Inter-American College of Radiology (CIR) and the Latin American School of Radiology (ELAR), and sponsored by GE Healthcare. All authors who wish to register their work should also refer to the full version of the invitation, published in the Virtual Portal of the Congress. 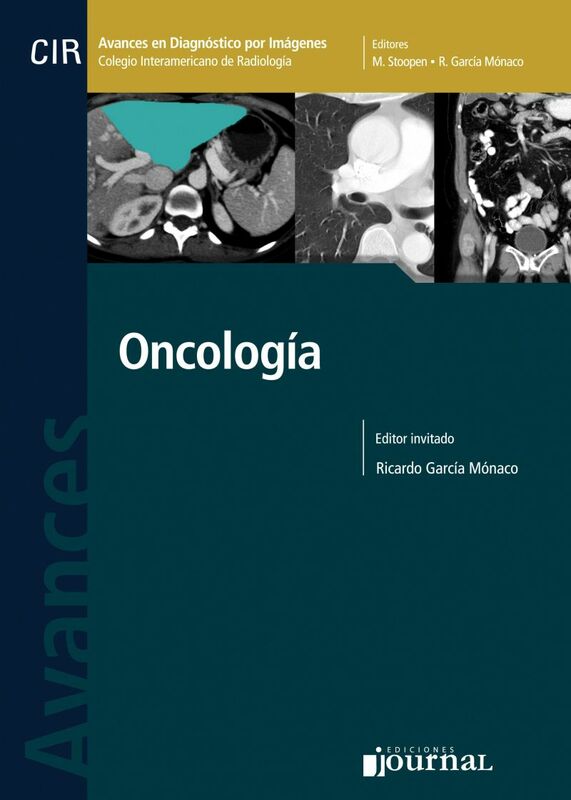 This complete and organized book that is part of the Advances series in Imaging diagnostics offers us a complete and entertaining review of this prevailing disease, analyzed from the imaging point of view. See commentary by Dr. Andrew O'Brien. Click here to enter GO RAD is a new program developed by the international society of Radiology in global scope. GO RAD is a new global outreach program developed by the International Society of Radiology. Its purpose is to achieve advanced radiology education throughout a global radiology community by adding current and practical radiology literature with content that is targeted and addressed to the developing nations and populations with scarce resources. We invite all NOTiCIR readers to visit, from this site, the monthly bulletin RSNA News, which is available thanks to CIR member countries. Vicente Carulla (Barcelona, 1896-1971) is regarded as one of the illustrious patricians of Spanish radiology, founder of the Spanish society of Radiology. Under the tutelage of his uncle D. Valentín Carulla, Professor of Therapeutics of the Faculty of Medicine of Barcelona, he was his faithful disciple and successor.